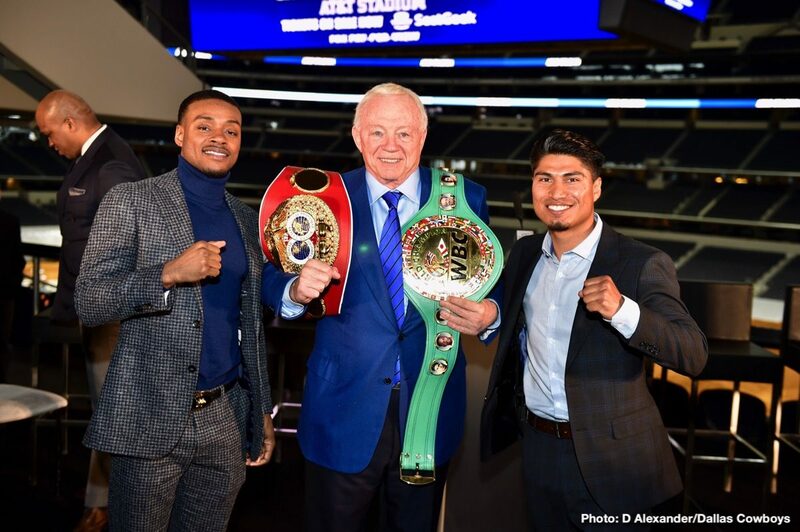 Errol Spence / Mikey Garcia Fight To Go Out For $74.95 On PPV – will you buy the fight? It’s getting more and more expensive to be a boxing fan. If you want to watch ALL the action (and who doesn’t) you simply cannot avoid shelling out big bucks for the big fights. Yes, we have more choice now – with DAZN and ESPN putting out big fights for far less than the big pay-per-view dollars and pounds we have grown accustomed to paying, but there are still a number of expensive p/p/v bouts taking place. Case in point, the March 16th clash between Errol Spence and Mikey Garcia. Fox Sports have announced the p/p/v price-tag, and it’s not cheap. At all. $74.95. Ouch. Is this fight really worth that price? Will you be forking out for it? It’s an interesting fight between two unbeaten pound-for-pound stars, yet many fans and experts feel there is really only one winner: the much bigger man, defending IBF welterweight champ Spence. Garcia is, as the saying goes, daring to be great, and the former featherweight/super-featherweight/lightweight and light-welter champ has bulked up in training and is supremely confident he will “shock the world” two weeks from tomorrow. But will he really win? Is there not a very real chance this fight ends in Spence’s favour and ends quickly? What if, as some fear, the mismatch indeed unfolds and Garcia, who has bitten off way more than he can possibly chew, gets blown away fast? Wouldn’t fight fans grumble over how they had wasted their hard-earned $74.95? The under-card is okay, but far from great. There is the heavyweight clash between Chris Arreola and the unbeaten (but also largely unknown) Jean Pierre Augustin, the super-middleweight fight between David Benavidez and J’ Leon Love, there is Luis Nery against McJoe Arroyo at bantamweight and heavyweights Charles Martin and Gregory Corbin (also unbeaten but like Augustin largely unknown) will fight. In all there will be 15 or 16 bouts, but the above listed ones are the biggest and most notable. You are here: Home / Boxing News / Errol Spence / Mikey Garcia Fight To Go Out For $74.95 On PPV – will you buy the fight?